When it comes to cooking, I need to have a good "company" of pots, pans, knives, etc. Many brands went through my kitchen but only the most reliable still live here and help me cook delicious meals for my family. Over the years my kitchen visited and quickly left non-stick pans (My husband was extremely observant for any scratches. He was lecturing me that as soon as there is a scratch it start to release harmful gas or chemicals into the food, so it had to go into the trash). Trough trial and error I came back to the good old cast iron and I can't say enough about how good it is. 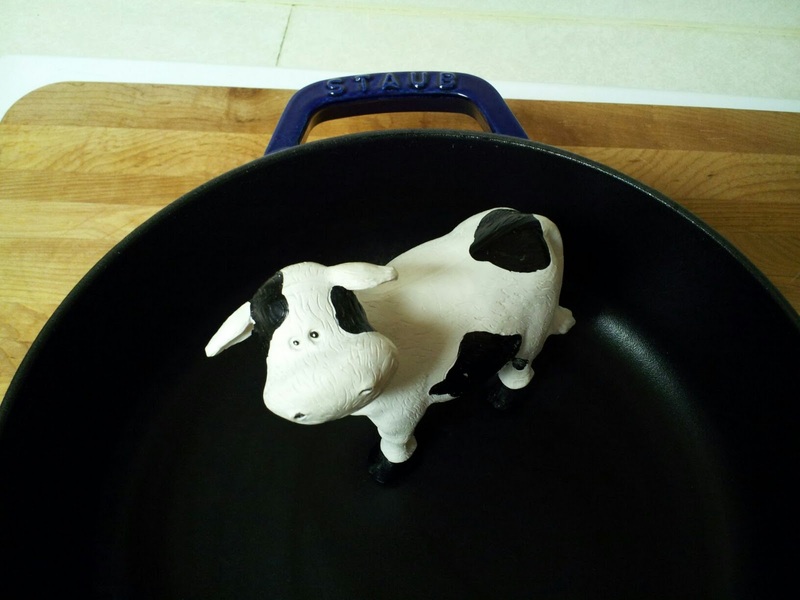 For today's dinner I employed one of my cast iron pans (see photo above) for an interesting meal. 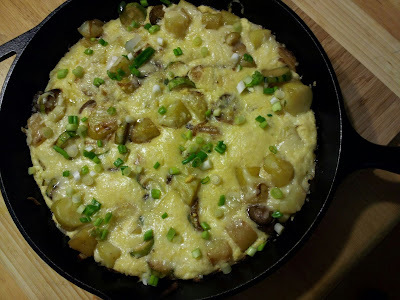 I was amazed what came out of just a few ingredients, scrambled from the refrigerator. 1. Cook potatoes and peel the skin. 2. Preheat oven to 415F. 3. Preheat cast iron skillet, add oil. 4. When oil in the skillet is hot, add onions and stir. 5. Add salt and pepper to bring up the flavor. 6. 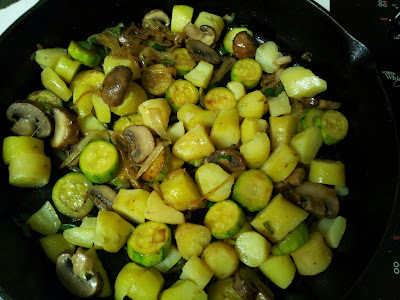 Add sliced mushrooms and zucchini, stir. 7. Add jalapenos, stir and put skillet on the side. 8. 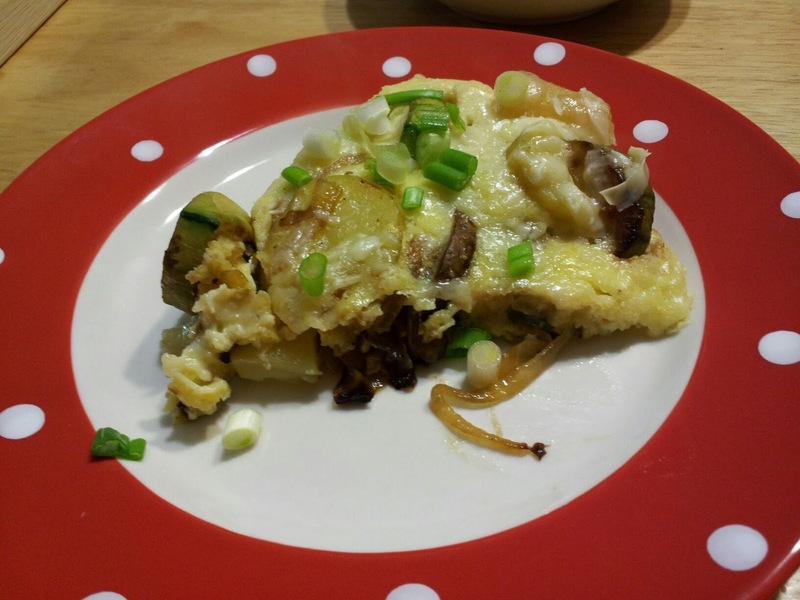 Mix eggs, cream and cornmeal, add salt, mix well and pour the mixture in the skillet. Top with a cheese and pop in the oven for 10 minutes. Serve hot with chopped green onions, smoked paprika and cayenne pepper. Or improvise! Do you have a favorite cookware? DELICIOUS! 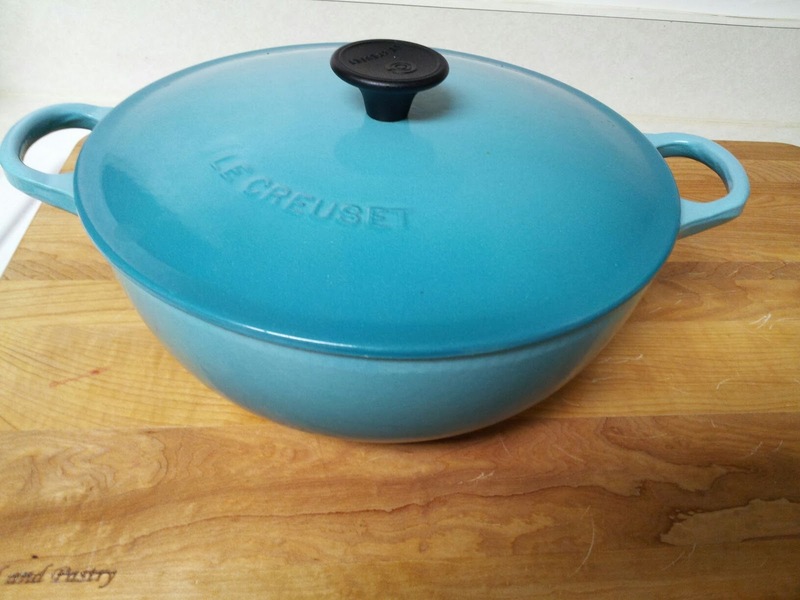 I have a LeCruset 7qt Dutch Oven that is a work horse, too! 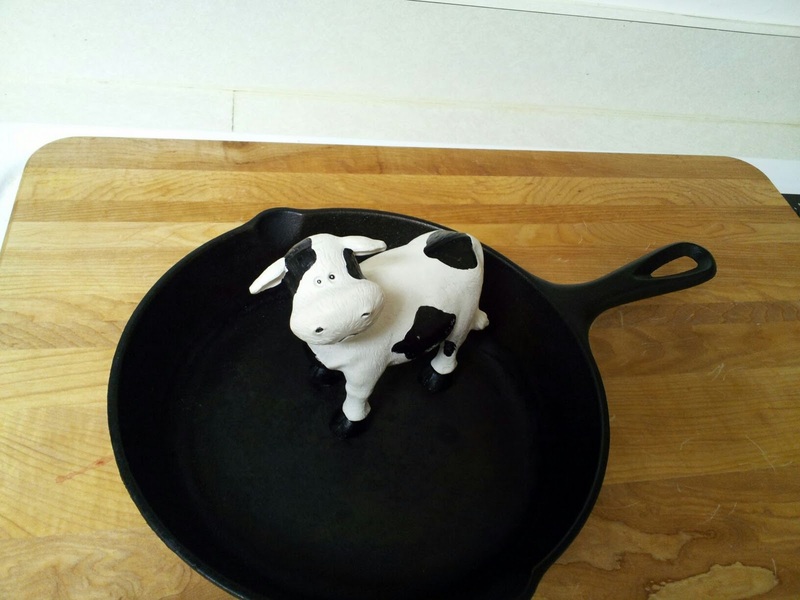 I also have FOUR cast iron pans...some of them vintage and they're terrific! I do, however, also have 6 non-stick pans, too! I love them all! I covet a Le Creuset, I was just eyeing one at the chef store today. So expensive but I want one anyway. I have the cheaper version. I have two kitchenaid ones that I adore. 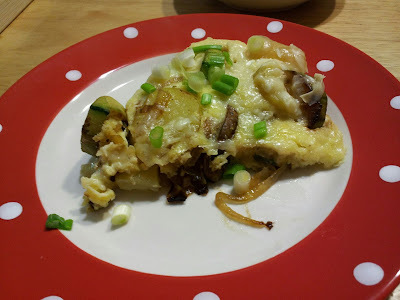 Great skillet dinner recipe. I love one pan meals. Fingerling potatoes always make me smile. They freak my daughter out. Lol! Thank you Kim Bee. I spent a lot of money on cheap stuff to use only for a year or so. Then I learned, you get what you pay for. Most of my Le Cruset are from promotions and sales. Williams Sonoma often has an exclusive on Le Cruset, and that soup pot was just $99. Not bad! Sur La Table has exclusives too. So over the years I was able to upgrade my kitchen without spending $200 or more for a pot. Although, I need a big one and some day I may spend more, but it's worth every penny, you know!